I have been wanting to start a new segment on the blog that highlights random places around Los Angeles and share my thoughts on them. I tentatively call this segment "LA Spots", but please please help with deciding on a name. Although I was born and raised in Los Angeles County, I have not seen most of what this city has to offer. I lived more inland while I was growing up, then moved to San Diego for college, and immediately after lived abroad. I am still falling more and more in love with my city, and shocked each time I encounter some gem location. For this post, I wanted to share with you a cute and romantic date idea. 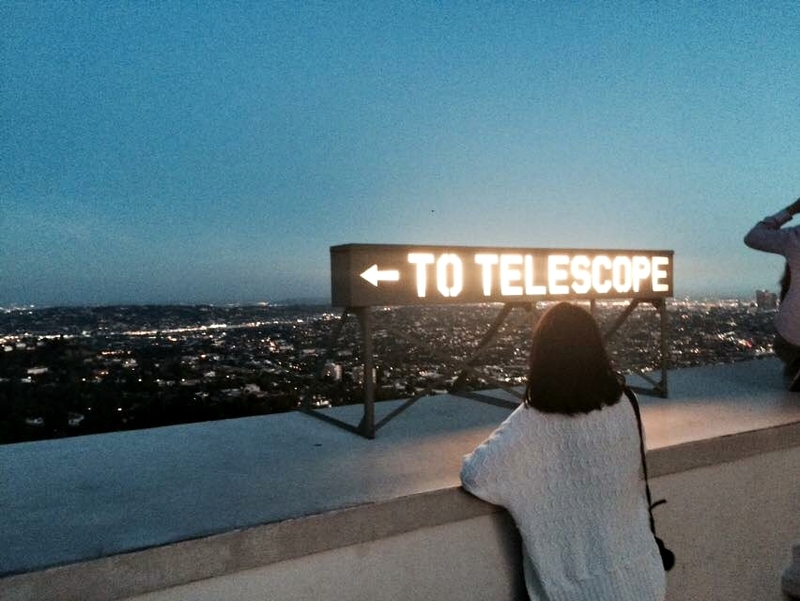 The ever-so popular tourist location, Griffith Observatory, is a great spot for a date. Now that the weather is much nicer and spring is approaching, it is ideal for a little picnic. I envisioned the picnic out on the front lawn where you could relax and gaze at the Hollywood sign. 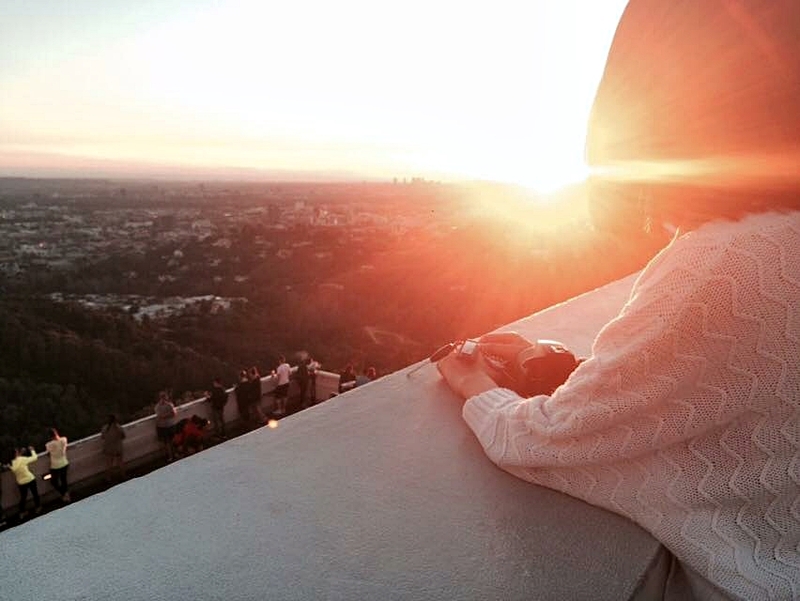 Then head on to the back of the Observatory to watch the sunset. Definitely, check online for sunset times and just take in all of the Los Angeles' glorious lights. Once you have soaked it all in, and the romance is on high alert, drive 5 minutes to the Alcove Cafe & Bakery for some dinner and/or desserts. It is a quaint location with a nice outdoor patio. I recommend the Lamb and Angus Beef Sliders along with any dessert because they have a great selection. From the words of Christian Grey... this would be an ideal "hearts and flowers" type date. - There is free parking at the Observatory up on top, but if it is filled, you can park anywhere along the hill/driving pathway. - Bring light outerwear because it can get chilly at night, once the sun goes down. - There are exhibits at the Observatory that you can check out as well, more information here.